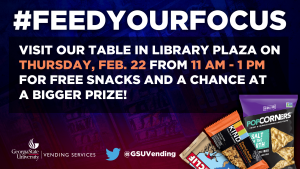 Gilly Vending’s new social new social media hashtag promotion #FeedYourFocus campaign will kickoff on the Georgia State University Downtown Atlanta and Clarkston campuses on Thursday February 22nd. 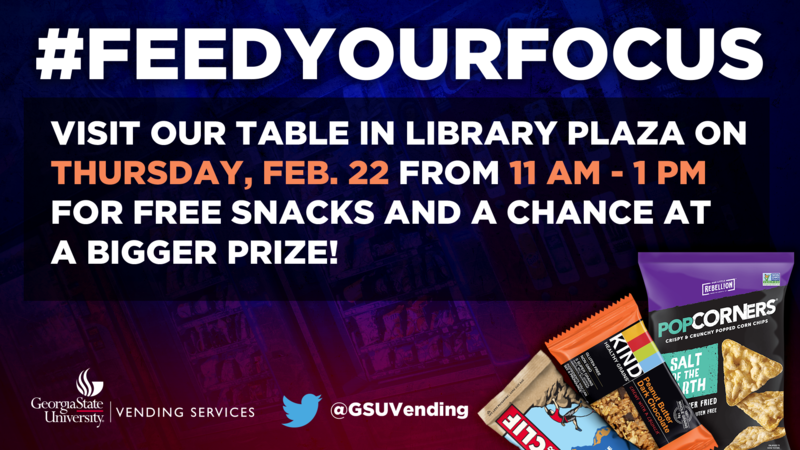 Students will be enjoying complimentary snacks, free promos from vending rewards program partner PayRange and chances to win raffle prizes. This is the first in a series of campaigns Gilly will be promoting our new hashtag.